The selection and design of an effective and efficient irrigation system is not for the faint hearted, and definitely not for amateurs. 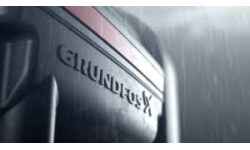 This article outlines all the considerations that your Grundfos Specialist Irrigation Dealer will take into account to deliver a satisfactory result. Whether you grow fruit, nuts or vegetables, as a Grower and Producer, you don’t need to be told how important it is to ensure there is adequate water available in the soil root zone. 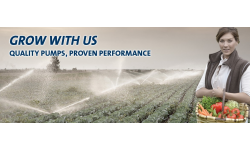 Your local Grundfos Specialist Irrigation Dealer has the expertise and knowledge to correctly guide you towards the best system selection to meet your needs. Read more here. 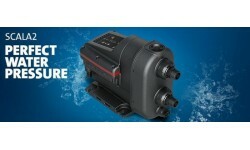 Grundfos Scala2 is the right booster pump for perfect water pressure. Visit the Irrigation Works online shop to order Grundfos Scala2 pumps at the best price. With so many pumps on the market, there can be a minefield of information available to you. So where do you start when you need to choose a pump for a new rainwater installation or for an existing pump replacement? Read more here. There are a range of benefits to installing a rainwater harvesting system for your house and property, including keeping your gardens looking healthy in times of low rainfall and reducing your water bills. 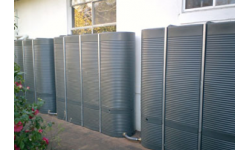 This article will help ensure you select a rainwater harvesting system that is just right for you.